Designers can now characterize device behavior over wide temperature ranges using the Temptronic ThermoStream® air forcing system or Sigma Systems HP289-PM thermal platform. The ThermoStream (-100 to +300°C) and thermal platform (ambient to +250°) meet the needs for high heat and extreme cold testing applications. Automated temperature cycling, data logging, and remote communications are featured with both temperature test systems. 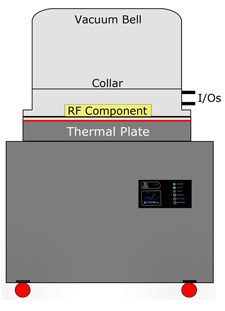 The Sigma Systems thermal cycling plate integrates directly with a customer's vacuum bell jar for space and altitude testing of RF modules, microwave components, and high power devices. The wide temperature range and stability of the plate is ideal for both thermal stressing of electronics and long periods of power supply testing. 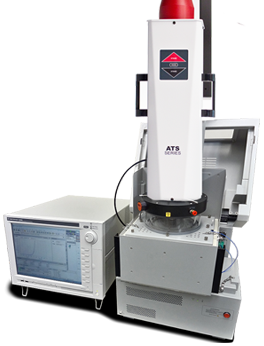 The system delivers MIL-STD temperatures (-70 to 200°C) with ±1.0°C stability. Plate surface size and materials are matched to the application. 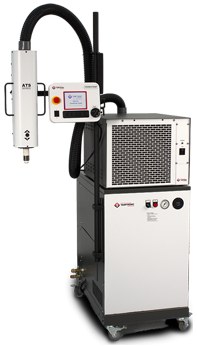 ThermoStream models (ATS-535, -635) with built-in air compressors are great for temperature testing with forced air when no facility air supply is available. A new upgrade kit allows the air compressor to be located up to 50 ft (15m) away from the actual ThermoStream. This increased flexibility allows the compressor to be installed in a remote closet or utility room making the system ideal for use in labs & office environments. The upgrade only takes about 15 minutes to install and reduces the noise by 50% without any performance reduction (for details on performance, download data sheets here). For questions and ordering information, contact service@inTESTthermal.com or call +1.781.688.2341.